Reported annual sales for cabinet manufacturers in the FDM 300 declined again in 2011. Even though more companies had higher sales, but the overall trend was still negative. Overall, sales for this group of 300 companies, including cabinet, furniture and millwork producers, amounted to $36.17 billion for the year 2011, a decrease of 2.25 percent from 2010. See the complete FDM 300 list or go to CabinetMakerFDM.com and click on "FDM 300." Cabinet manufacturers in the FDM 300 group of companies recorded years of sales growth up until late 2006, but sales declined sharply for all woodworking sectors in 2007-2009. The cabinet industry has used technology and advanced manufacturing processes to stay current. But there have been consolidations, equipment auctions and some plant closures. At last year’s KBIS exhibition in Las Vegas there were more imported cabinets shown than at previous shows. KCMA currently has 175 cabinet manufacturer members, with 60 percent of member companies having less than $10 million in sales. The analysis estimated that the 2011 market size was $6.8 billion in 2011, down 2.6 percent from $7 billion in 2010. In 2006, the market was estimated to be in the $12-13 billion range. Titus said that the monthly Trend of Business report showed that the cabinet Industry had 126 consecutive months of sales growth, which ended in November 2006. There have been positive months since then. Estimates by others that business was off 50 percent since then were pretty accurate, he said. For 2012 Titus sees a flat year with industry sales holding at about the $7 billion mark. According to the KCMA’s monthly Trend of Business Survey, participating cabinet manufacturers reported sales totaling $4.4 billion for 2011. This was down 1.7 percent compared to total sales for 2010. Stock sales were down 3.2 percent; semi-custom sales were even with sales for 2010; and custom sales fell 3 percent. December 2011 monthly sales were down 1.9 percent compared to December 2010. Stock sales were down 1.7 percent; semi-custom sales were down 0.7 percent; custom sales were down 9.3 percent compared to December 2010. 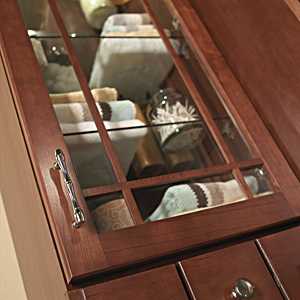 Previously the cabinet manufacturers surveyed reported sales of $4.5 billion in 2010. That was down 4.1 percent compared to total sales for 2009. In 2010, stock sales in this group of companies fell 6.7 percent, Semi-custom sales were down 0.5 percent, and custom sales declined 13.2 percent. In 2009, KCMA’s survey reported sales of $4.9 billion, down 28.3 percent compared to total sales for 2008. Stock sales in this group were down 24.1 percent for the 2009. Semi-custom sales were down 30.2 percent, and custom sales were down 37.2 percent. In late 2011 and early 2012 CabinetMaker+FDM surveyed the largest wood products manufacturers in North America for the FDM 300. Masterbrand and Masco were the only two cabinet manufacturers in the overall FDM 300 top ten. This is the same group of the 10 largest companies that we broke out a year ago. MasterBrand Cabinets. Fortune Brands Home & Security LLC is a new company that was spun off from Fortune Brands and includes the kitchen and bath cabinet, plumbing and accessories, and storage and security businesses. Sales estimate of $1.275 billion is based on the third quarter sales (ending Sep. 30) for the cabinet segment. Sales increased in 2011. MasterBrand makes stock, semi-custom and custom cabinets. The company includes Aristokraft, Diamond, Schrock and HomeCrest, and operates 14 plants. Masco Corp. Masco is optimistic about long-term fundamentals, but their third quarter cabinets and related products segment had a 14 percent decline in sales. Our estimate of $1.265 billion was based on sales through the third quarter for the cabinet segment, ending Sep. 30, 2011. Masco Corp.’s two Mill’s Pride plants in Waverly, Ohio, were closed. Earlier, Masco announced that it would combine its two cabinet companies, Masco Retail Cabinet Group (KraftMaid) and Masco Builder Cabinet Group (Merillat, QualityCabinets and DeNova) to form Masco Cabinetry. American Woodmark. Company reported $452 million in 2011 fiscal year annual sales. The company announced in December 2011 that Hardy County, W.Va. and Hazard, Ky., plants will close in 2012 and that its idle Tahlequah, Okla., location would be sold. 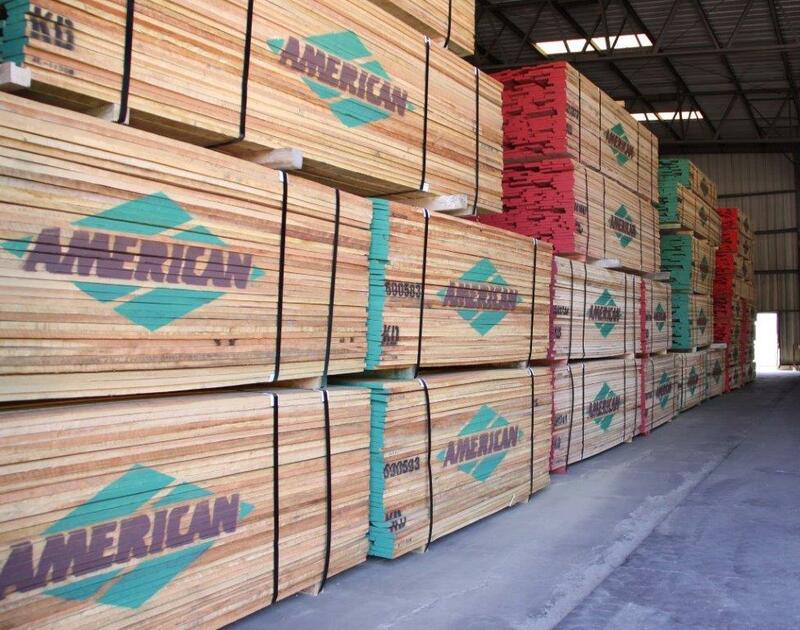 American Woodmark announced in February that sales for the first nine months in the company's 2012 fiscal year rose 16 percent. The company makes stock and semi-custom kitchen and bath cabinets in 11 plant locations. RSI Holding Corp. One-half of the company was purchased by Canada’s Onex Corp. RSI purchased Continental Cabinets in Dallas, Texas, in 2010. Continental was listed as a separate company for the 2010 FDM 300. For 2011, it is included in RSI’s listing. There have been auctions for equipment in the Dallas operation, along with Coffeyville and Columbus, Kansas. The company sells large volumes of cabinets and vanities for major home retailers. The sales figure of $350 million is our estimate based on online data; no complete information is available. Norcraft Companies. This figure of $270 million is based on the third quarter sales, ending Sep. 30, 2011. Sales increased slightly from 2010. Norcraft makes Fieldstone, Mid Continent, Norcraft, StarMark and UltraCraft cabinets. The Winnipeg plant makes cabinets for the Canadian market under the Norcraft Canada brand. Elkay Cabinetry Group. The maker of Mastercraft, Medallion and Yorktowne and Schuler cabinets in seven locations did not provide any information. Sales number of $250 million is our estimate. The company is a large part of Elkay, which also makes sinks, plumbing and surfaces. WoodCrafters Home Products LLC. Company is one of few in this sector that has grown during the recent recession, and reported higher sales in 2011 of $209 million. WoodCrafters employs 2,000 in South Texas and makes cabinets and vanities for major home centers. U.S. Home Systems. Company makes custom cabinets and countertops in Charles City, Va. Sales number showed a solid increase. The $165 million figure was based on the third quarter 2011 number. Armstrong Cabinet Products. The sales figure estimate of $145 million is based on the third quarter sales reported for the Armstrong World Industries cabinet segment. Sales will be higher for the year. Company closed its Auburn, Neb., cabinet plant two years ago, consolidating work in its Thompsontown, Pa., location. Cardell Kitchen & Bath. Company is based in San Antonio and makes stock and semi-custom cabinets. We were unable to confirm sales numbers. $125 million is our estimate. Part of the company was bought by HIG Capital in November 2010. For comparison, we broke out 30 cabinet manufacturers for which we had good sales information consistently over the past five years. This group consisted mostly of mid-size to large companies, without the very largest and the smallest companies. In 2011, sales fell 6.3 percent to $11.97 billion for this group of 30 companies. In 2010, sales decreased 4.2 percent to $12.78 billion for this group. In this same group, sales increased in 2006 to $20.91 and these companies recorded a slight sales gain even in 2007, to $21.70 billion. That turned around in 2008, when sales fell to $19.37 billion. The decline gathered momentum in 2009, with sales down to $13.35 billion. What will 2012 hold for the cabinet sector? After the sales declines of recent years, a flat sales year would be welcome by many.